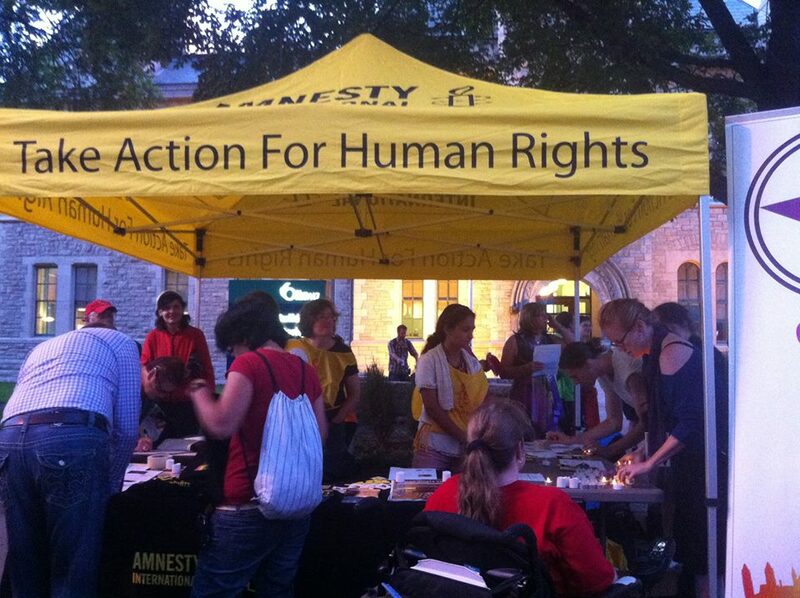 On August 22, Amnesty International partnered with Capital Pride to host an annual vigil in downtown Ottawa as part of Pride Week. On August 22, Amnesty International partnered with Capital Pride to host an annual vigil in downtown Ottawa as part of Pride Week. While the event encouraged people to embrace who they are, it also served as a reminder of less accepting places around the world where the LGBT community live in constant fear. The theme of Ottawa’ pride week this year is “Be Loud, Be Proud,” to encourage people to not only accept themselves, but to draw attention to who they are. The vigil boasted plenty of speakers, all of whom embraced this theme. Battery-powered candles were passed out and most audience members held them throughout the event as they gathered around the human rights monument at the corner of Elgin and Lisgar. 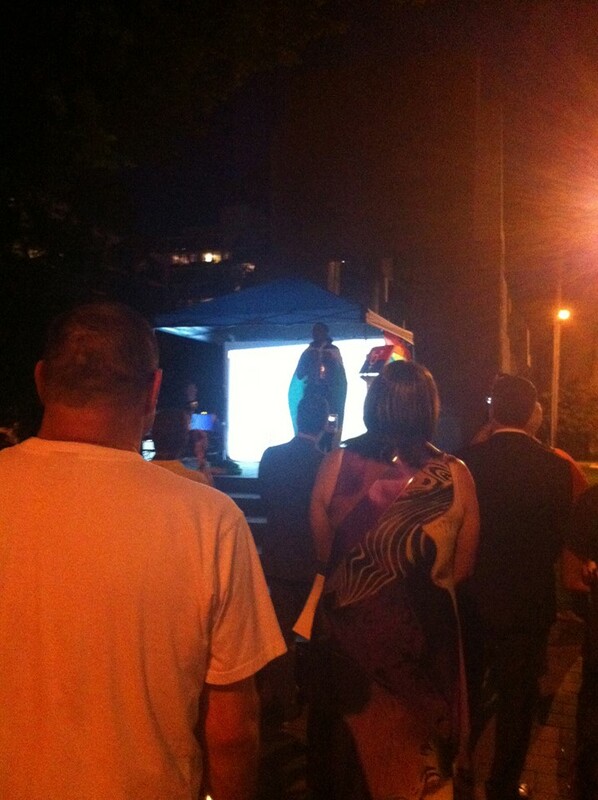 The first of the guest speakers at the vigil, Ottawa Mayor Jim Watson, spoke about pride in his city. Everyone has the right to be included, respected, and accepted into society, he said. He added that the theme “Be Loud, Be Proud” provides a voice and vision into the LGBT community, and that pride week puts a human face on it. “The vigil is a reminder that we can never tolerate prejudice,” Watson said. Guest speaker and filmmaker Leslie Foster talked about homophobia and violence in Jamaica. Foster is currently finishing a documentary on the topic, called Until We Have Faces. He spoke about meeting a variety of people in Jamaica who were tortured for being who they are, and called his film “a place to use their voices.” Foster hopes his film will be released in time for the next festival season this fall. Decker said this made him distance himself from all organized religion, until going into the Metropolitan Community Church in Toronto where he could come to terms with his hurt and shame. Decker emphasized that being gay and being a person of faith are not contradictions in terms. “God loves all,” Decker said. Maurice Tomlinson is a Jamaican activist and a Canadian immigrant as of one year ago. He spoke of meeting the Jamaican high commissioner, and how she told him that they cannot highlight the violence going on for tourist and economic reasons and that it is not just gay people being targeted, it is Jamaicans as a whole. Because of this, Tomlinson emphasized, gay Jamaicans have a double vulnerability simply because of who they are. He ended by saying that people should also celebrate advances and Canadian contributions internationally. Many people had different reasons for attending this event. Some were interested in human rights, while others were just passing by. One person named Daniel attended out of respect for the LGBT community. Daniel said that hatred and prejudice are still prominent, even in Canada. Too many lives have been lost from suicide, and “the youth need support,” he said. Representatives of Pink Triangle Services, a support and advocacy centre for the queer community in Ottawa, attended to provide emotional support and counseling for anyone who may have needed it at the event. The vigil concluded with a moment of silence for a long list of people who been killed due to violence and hatred in different places around the world.